The Philippine Rice Institute (PhilRice) featured images of President Rodrigo Duterte and Vice President Leni Robredo in pieces of â€œrice paddy artâ€. 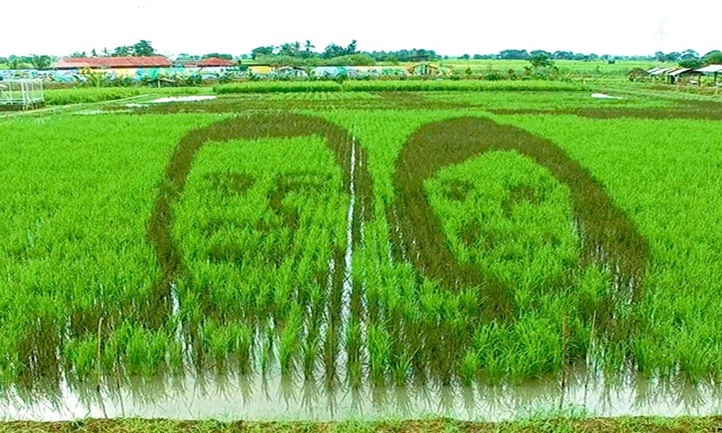 The rice art of Duterte and Robredo are located in RicePhilâ€™s stations in Los Banos, Laguna and MuÃ±oz, Nueva Ecija. Using different varieties of rice, including one from Korea, the researchers from PhilRice were able to define the facial features of the Philippinesâ€™ two highest ranking government officials. The developers clarified that they used the Korean variety of purple rice with dark purple leaves to show distinction from the regular green-leafed inbred variety. â€œThis project called Rice Up Pilipinas is, a creative way to call for unity among Filipinos to become partners for change in rice farming,â€ said Roger F. Barroga, program lead of the FutureRice Program and PhilRice deputy executive director for administration. 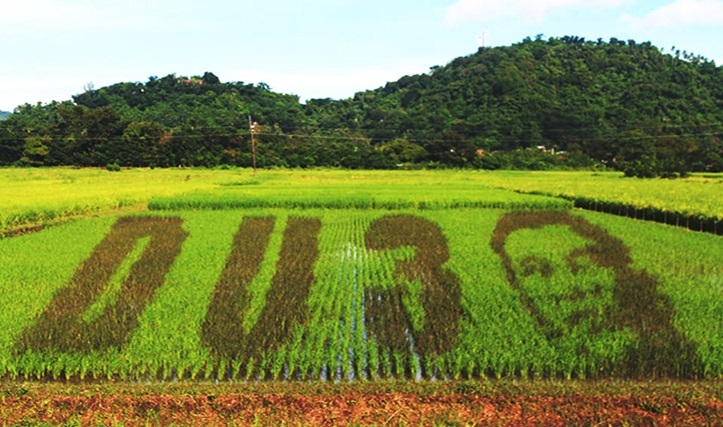 Another image, featuring Duterte and his campaign logo, is shown in a rice paddy artÂ situated along the BioTech Road, inside the University of the Philippines campus in Los BaÃ±os. Rice art originated in Japan which is also a rice-producing country. Japanâ€™s more complicated rice art designs draw throngs of tourists each year.